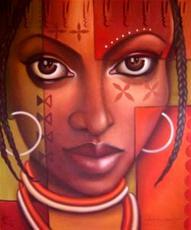 I welcome you, a glance into my world, my land, my continent, my country, my Africa. Is it as stunning as the land my mother and those before her walked? Is it as abundant and green? Does the throbbing pain of oppression, tyranny, and demise make up its blood? Race, exquisiteness, vigor, and power make up its people? Consideration something that has been implemented in you? Is it anything like my home? Do animals meander the planes, hills and mountains of it? Is it summer? Like mine? Do you like the stars? Is it the same as yours? Then I shall tell you how glorious my Africa is. © Copyright 2019 djoulde. All rights reserved. I love the use of rhetorical questions! Very profound and I love how you love your homeland! I want to visit Africa it seems such a beautiful place and reading this make me want to go there even more!!! Great piece. thank you! you should definitely, i always tell people don't go by just what you see on t.V! take a step outside your world if you have the means, and look! Anyway, keep writing, you're doing great!